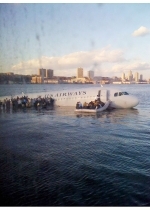 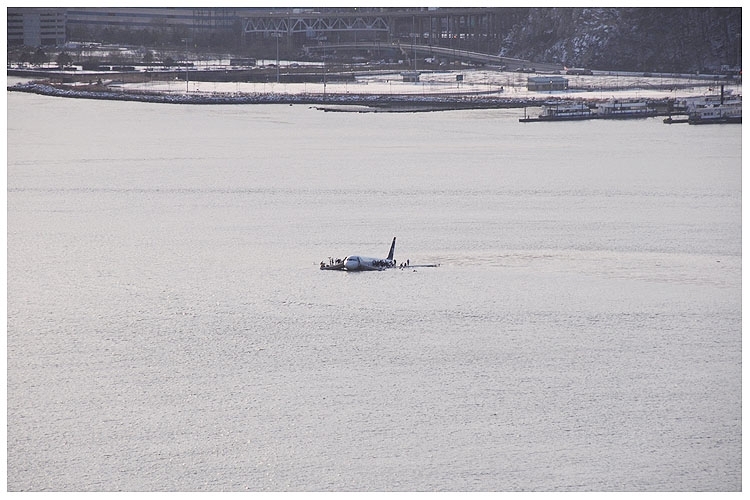 JANUARY 15--Taken shortly after a US Airways jet crash landed today in New York's Hudson River, this camera phone photo shows passengers on the downed plane's wing awaiting rescue. 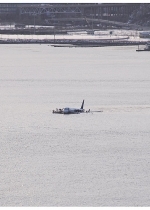 The photo was taken by Janis Krums, a Florida man who was on a ferry that joined the rescue effort. 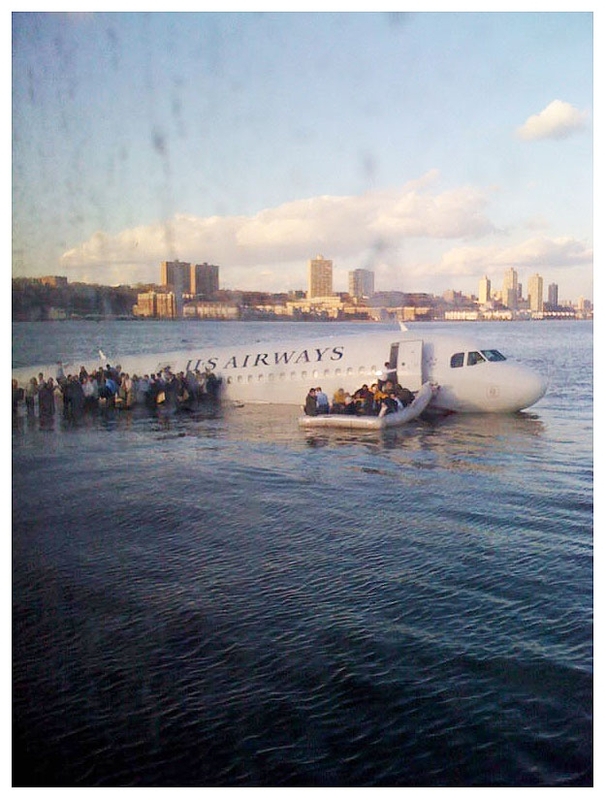 Krums, 23, uploaded the photo to his Twitter page.